At Stairlifts2u we understand that the purchase of a stairlift is not just an important practical and emotional decision, but can also be a difficult financial one. For this reason, it’s important that there are a variety of price options in our pre-owned Reconditioned Stannah Stairlift range, and that’s why we offer a wide range of both straight and curved (around the corner) reconditioned stairlifts. 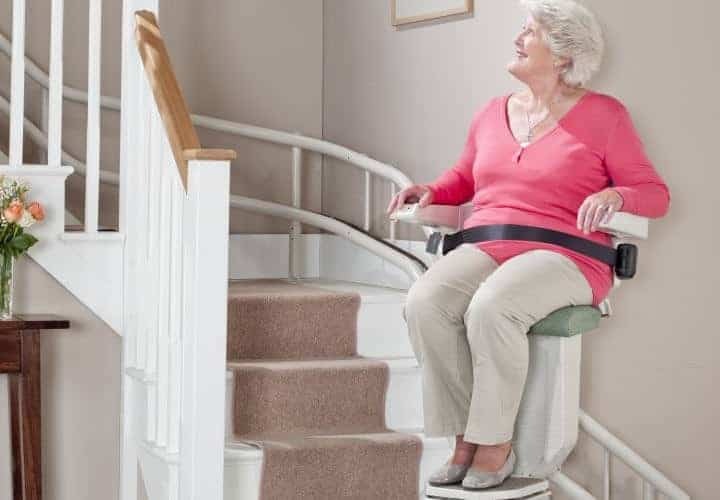 These stairlift options not only offer great value for money, but also the safety and reliability that come with all Stannah stairlift products. Not only are our Reconditioned Stannah Stairlifts versatile, they also incorporate the latest safety features including stop sensors which will bring your lift to a halt if anything is in its path. Other safety features include a safety belt harness, swivel seat locking system and electronic braking system to control speed and make every journey smooth and trouble free. A pre-owned Stannah stairlift will always rigorously tested by our team of engineers and only receives the Stannah reconditioned badge when it meets our own exacting standards of quality and safety. So when a refurbished Stannah stairlift is installed within your home, it is every bit as good as a new one, after all, it has the Stannah family name on it. Stannah Stairlifts have outstanding design features and comply fully with British safety standards. All our reconditioned Stairlift options benefit from a compact and slimline design, which means you will normally be left with plenty of space on your staircase. With a Comprehensive 12 month guarantee, installation by Stannah trained engineers and full service support available, you can be certain that when a reconditioned Stannah stairlift is installed in your home, it will be every bit as good as a new one. Stairlifts2u are proud to be an authorised independent Stannah Stairlift Supplier and have been helping our customers for over 20 years. Contact us to arrange for a free no obligation survey which will allow us to give you an exact quote and advise you on the most suitable reconditioned Stannah Stairlift that will meet your needs.